What does Priyanshu mean, details, origin, short & easy attributes? Priyanshu pronunciation in 20 different native languages. Name Priyanshu generally means First ray of sunlight, is of Indian origin, Name Priyanshu is a Masculine (or Boy) name. Person with name Priyanshu are mainly Hindu by religion. Priyanshu is baby boy name mainly popular in Hindu religion and its main origin is Hindi. Priyanshu name meanings is First Ray of sunlight. People search this name as Priyanshu, Priyanshu meaning. Priyanshu is written in Hindi as प्रियांशु. Other similar sounding names can be Branesh, Parnashri, Praanshu, Pragnesh, Pranesh, Pranisha, Pranshi, Pranshu, Pranshul, Pranusha, Priansh, Priyansh, Priyanshi. Each letter meanings in Priyanshu Name. Popular personalities with Priyanshu Name. 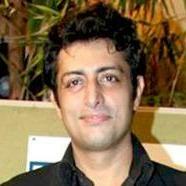 Priyanshu Chatterjee is an actor, model (people), and model. He has had major accomplishments since 2001. Priyanshu was born on February 20th, 1973 in Delhi.